Somethings about me, my thoughts, my passions and my city. In between he acquired a PG Degree in Fine Arts (History) which he admits adds a bit of colour and artistic depth to what would have been a bland rigmarole of life. Raghu heads the Research section of RKP. His area of research includes traditional Mysore paintings, traditional dolls of India and traditional Indian indoor games. He also slips on the operatic cloak of an art historian when necessary and then with equal ease dons the mantle of a guest lecturer at Chamarajendra Government College of Visual Arts (CAVA) in Mysuru. A Man of Many parts - Raghu! 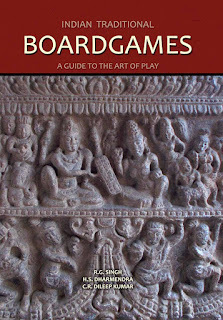 He is also a co-author of the book, ‘Indian Traditional Board Games – A Guide to the Art of Play’, published by Ramsons Kala Pratishtana. 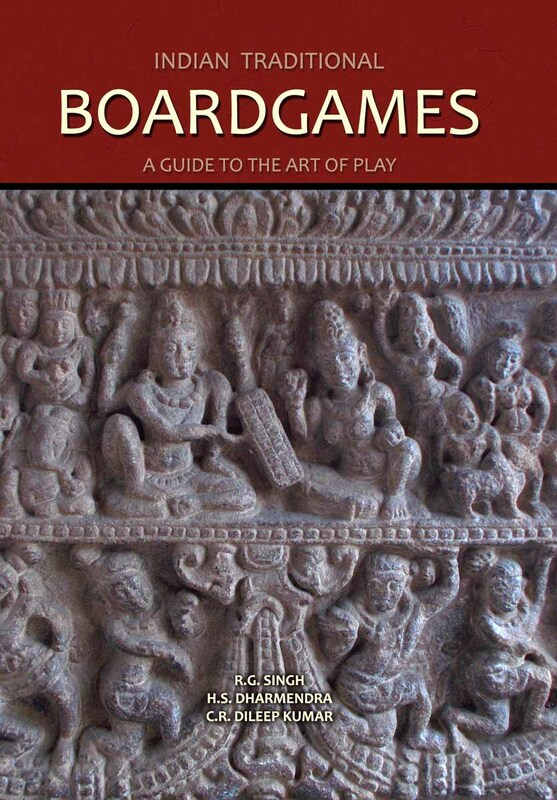 As a part of the research, Raghu along with the RKP team spent hours and several days visiting scores of temples across the sub-continent to unearth the mystery of traditional board games etched in temple floors. The result was the informative book mentioned here. His dissertation for MFA – ‘Portraiture in Surapura and Mysore Paintings – A Comparative Study’ throws some interesting facts about the genre of portraiture in South Indian paintings and awaits publication. The Mysore Palace journal - published by Ramsons Kala Pratishtana. It has about 80 rare photographs and paintings showing the various stages of Mysore palace being built along with interesting tidbits about the palace. It is available at Ramsons store in front of Mysore Zoo. Here's a look inside the journal - Mysore Palace Celebrating a Century 2012. Rare photographs in the collection of Sri R.G. Singh give a glimpse of the making of Mysore palace and other aspects of palace. About 80 pages of photographs are the main attraction. Rest 80 are ruled pages which carry tidbits and line drawings showcasing little known aspects of palace. In these pages you can write your experience and observations when you visit Mysore palace. Following is an article by Dr. Javeed Nayeem about the journal which appeared in the evening newspaper of Mysore 'Star of Mysore' on 9 March 2012. Although I have seen quite a few royal abodes both in our own country and abroad, I have always felt that none of them come anywhere close in visual appeal to the Mysore Palace, especially when it is illuminated at dusk. I can safely say that this opinion does not spring from any bias that I may be harbouring because I happen to be a born Mysorean. I feel reassured and gratified that many of my friends too who have visited Mysore and who have also seen the best of what the world has to offer have endorsed my opinion wholeheartedly. I think this makes my own appraisal fair enough. During my travels, I have been led by guides and guide books to structures that were no different from large mud houses and yet called 'pala-ces' because some ruler or the other once dwelled there. I have also had many opportunities to see many really fine palaces much larger than our Amba Vilas and more impressive by their sheer might but still being unable to match its fairy tale look at night. Since in addition to having a great admiration for our palace, I am also much fascinated by its history, I always try very hard to uncover interesting facts about it from all possible sources. So a couple of days ago, when I learnt that a book has been released detailing the construction of our palace to mark the completion of a hundred years of its existence, I could not wait to procure a copy of it for myself. Thanks to the intervention and good offices of my journalist friend Niranjan Nikam, last evening I was able to get in touch with R.G. Singh who has compiled the book as a project of his family firm, Ramsons Kala Pratishtana. It is an institution that is into the development and revival of art and craft forms which have long suffered from much neglect. Singh was kind enough to provide me a complimentary copy of his book in less than fifteen minutes of my contacting him although we were unable to meet each other personally. If things go as planned, I will perhaps have met him by the time you get to read this piece. He says he is a self-made history buff who has been fascinated by the past ever since his childhood. It appears he started collecting old pictures and photo-graphs of Mysore and now has more than two-and-a-half thousand photographs and paintings in his possession. Interestingly, this passion started nearly twenty five years ago when he happened to see a discarded photograph of horsemen standing in front of the palace that was lying in the Shivakumar Frame Works at Lansdowne Building. The proprietor of the shop, Shivanna, was kind enough to let him have this piece of history which its former owner had left behind after getting its ivory inlaid rosewood frame reused to protect some other picture that was perhaps more precious to him. He says his father D. Ram Singh and his uncle M.B. Singh, the former Editor of Prajavani, Sudha and Mayura were instrumental in encouraging him to come up with the book which he says is a personal tribute to the Maharani, Kempananjammanni Vani Vilasa Sannidhana, the widow of Chamaraja Wadiyar X (1868-1894). Since the heir to the throne, Krishnaraja Wadiyar IV was still a minor at that time, she was the regent from 1894 to 1902 and it was during her regency that the present palace was built under her direct supervision to replace the old palace that was destroyed in a fire. In fact, her signature indicating her approval appears on many of the drawings and blueprints of the palace which still survive to this day. Compared to the many coffee table books that one comes across on a subject such as this, it is no doubt a rather small book. But it is certainly not a book that can be casually cast aside after a cursory look through although that is exactly what most people do with most books. This book serially depicts the various stages of construction and many stages of modification and metamorphoses the Mysore palace went through before it emerged from its chrysalis of history to remain forever perched like a golden butterfly on the pretty flower that Mysore is. It has some pictures shot from the top of the palace which show how the city looked a century ago. What is most interesting is that there was an entire township with houses, shops and narrow lanes within the precincts of the fort itself. It appears these were cleared to create the open space and the gardens that we see around the palace today after paying suitable compensation and relocating the inhabitants. What makes this book unique and very precious is the fact that it has some photographs which simply are not available anywhere else. This is because they happen to be pictures shot by Lazarus & Co., the Calcutta firm that was entrusted with the job of decorating and painting the vaulted ceilings of the colonnaded hall behind the durbar hall. Well- preserved by his mother Jean, they had been lying with the British journalist and broadcaster Mike Souter whose great grandfather Dennison Smith happened to be a representative of Lazarus & Co. They were luckily made available to Singh when Dennison visited Mysore and Bangalore recently in search of the connections his great grandfather had with the palace. In a very interesting and informative foreword, Singh gives credit to the contributions and efforts of all people whose inputs made his dream come true. 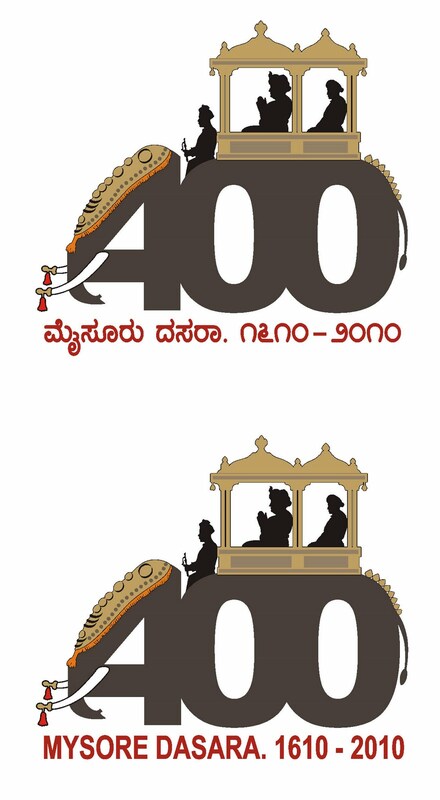 The layout of the book has been done by Raghu Dharmendra who also happens to be the man who gave us the elephant-based logo of our 400th Dasara, although I do not think he got his fair share of credit for it. It was he who personally handed me the book yesterday for which I am promptly giving him credit today! (For your personal copy of the book you may call him on Mob: 98801-11625). It would have been good if our government had undertaken a project of this kind on a much larger scale to mark the completion of a century of our palace. It is still not too late and the powers-that-be should give it a serious thought. History is only useful when we record it. This is the third list of best food that I have tasted. The first post is here and the second post is here. After staking claim to the throne of Karnataka empire and called himself ''Karnataka Ratnasimhasanadheesha' in 1610 CE, Raja Wodeyar first conducted Darasa celebrations; he least expected for the tradition to endure for 400 long years. Cut to 2010. Secretary of Ramsons Kala Pratishtana (RKP), R.G. Singh is frustrated that nobody is taking cognizance of the importance of Dasara 2010. He tries to explain the significance of the 400 years of Mysore Dasara to few but to no avail. 'Charity starts at home.' He decides to make a difference himself. RG then asked me to design a logo to commemorate 4 centuries of Mysore Dasara. He told me that we shall use the occasion to be the central theme at this year's 'Bombe Mane' and also use the logo for the same. So I sat one fine morning in front of my computer system with a blank mind and monitor. No idea was forthcoming. So I relied on a pen and paper instead. I wrote '400' as it is and a little bolder. 400 is a big quantity when you are talking about years, so I decided to make '400' the central design of the logo. The next question was to depict the spirit of 'Dasara' in the logo which has to be something that is easily recognisable by one and all. It didn't take long to decide upon 'Jamboo Savari' (elephant carrying golden howdah) which is the most apt image that conjures up Mysore Dasara in our minds. But how to depict Jamboo Savari and also '400'? Next I made the '400' thicker still until the digits were sticking to each other. Lo! it looked like an elephant to me. I scribbled the silhouette of the howdah on top of it, made two human figures seated inside and a mahout. To make '4' look more like an elephant's head I added tusks and finally scribbled a tail onto the second '0'. When I asked RG what made him to have a logo for this occasion, he answered me that in a country of one billion people and thousands of cities, only a handful can boast of such heritage and Mysore is one among them. He added that whatever we do with love towards it is a tribute to Mysore. Today is Ganesha Chaturthi, the festival of Ganesha. In many homes across south India (including mine) in the states of Andhra Pradesh, Maharashtra, Karnataka and Tamilnadu, the lovable, pot-bellied, elephant headed Ganesha is welcomed and offered 16 course worship (shodashopachara). He is welcomed, offered seat, water, food, clothes, music, love and devotion and finally bid farewell. It is said that when Ganesha was travelling on his mooshika vahana (the mouse vehicle) with a big belly after a heavy lunch, the mouse toppled over and Ganesha fell down. It was a night lit up by a gorgeous Moon (Chandra). Looking at the scene below, the proud Moon couldn't contain his laughter and burst out cackling. Ganesha felt insulted and in a fit of rage cursed Moon to loose his charming beauty. But after much coaxing by the entire pantheon of gods, Ganesha watered down his curse. He said that whoever looks at the Moon on the Bhadrapada Chaturthi (the day on which Ganesha chaturthi is celebrated; i.e., today), he/she will be a victim of vicious and false accusations for the entire next year. So Hindus usually avoid looking at Moon on this day. Coincidentally, today is also finale of Ramzan (Ramadan). For Muslims the festivities of Qutb-e-Ramzan, after the month long fasting during Ramzan, is heralded by looking at the faint crescent of Moon. So until and unless they look at the infant Moon, they will not partake in festivities. So, today at one side you have Hindus who are deliberately shunning a glance at the cursed Moon while on the other side you have Muslims celebrating the vision of a delicate Crescent. This is the irony of faith. Many a times I have thought about things that could be invented and thought 'why nobody has tried to invent such a thing?' This will be a regular column in my blog and I will keep posting my various ideas under the same heading appended with successive numbers. A light bulb (or similar contraption) which will be connected to a bunched-up optical fibre cables whose other end will be connected to a dish-antenna-kind-of mirror (this can be made to track the sun, a device invented by Pranav Mistry) which is installed on the terrace of the building. The sun-light falling on the mirror will travel through the OFC bunch and will illuminate the bulb on the other end. This way we can stop the usage of electricity to illuminate the interiors during day time. I appeal to scientists to come up with such a thing. During the fifties and sixties of 20th century, India was still learning to take infant steps in the world order of industrialised nations. People were being lured away from their hereditary occupations and villages to work in various industries being set up across the country. The main reason being economics, traditional craft forms were not a paying proposition as the patronage for the same had vanished in the new democratic setup. One such city migrant was Siddaramappa who along with his new bride Ratnamma, left his ancestral village of Hagargundgiand traveled a few miles away to Gulbarga to work as a supervisor in a cloth mill. Vijay was born in the fag end of 1957 as the first son of this couple in Gulbarga. Monochromatic illustrations in his school text books attracted the young Vijay more than text. The firm lines of the drawings captivated his imagination. His formal education came to a naught during his 12th standard; Vijay headed to the Ideal Fine Art Society's MMK College of Visual Art and studied art for six years. A scholarship from Karnataka Lalitakala Academy gave him the opportunity to go to Shantiniketan. Modern trends in art influenced art education with abstract expressionism gaining momentum. Vijay was not satisfied by aesthetics, philosophy and politics of this modern art, disappointed, he left Shantiniketan after just a month. Surpura was a small principality ruled by a dynasty of local chieftains for 6 generations before it was absorbed into the dominion of the erstwhile Hyderabad state. It was these royal patrons, local mutts, eminent musicians and rich merchants who commissioned paintings of religious subjects and portraits that led to the evolution of this school from Vijayanagar school of painting. Vijay had visited Surpura, about 100 kms away from Gulbarga, during an educational tour, there he had come across beautiful murals on the crumbling walls of a royal mansion and mutts. Exquisite miniatures of this style had retained the original language of its forerunner, the Vijayanagar school of painting. He was drawn to it like a moth to the flame, and copied these miniatures. Since he had been taught in the contemporary painting system, he found it a hindrance to adapt to this ancient style. By then no artist who painted in this style was alive, it was road block. The inevitable stared him in the eyes; he could not pursue the art which he desired the most. Vijay is a born fighter, who does not accept defeat easily, when there is no road to continue, he treads his own path, he did just the same in this situation. Rajasthan – famous for its miniature paintings beckoned him, he went to Jaipur and took the studentship of Dwaraka Prasad Sharma, a master of miniature painting. 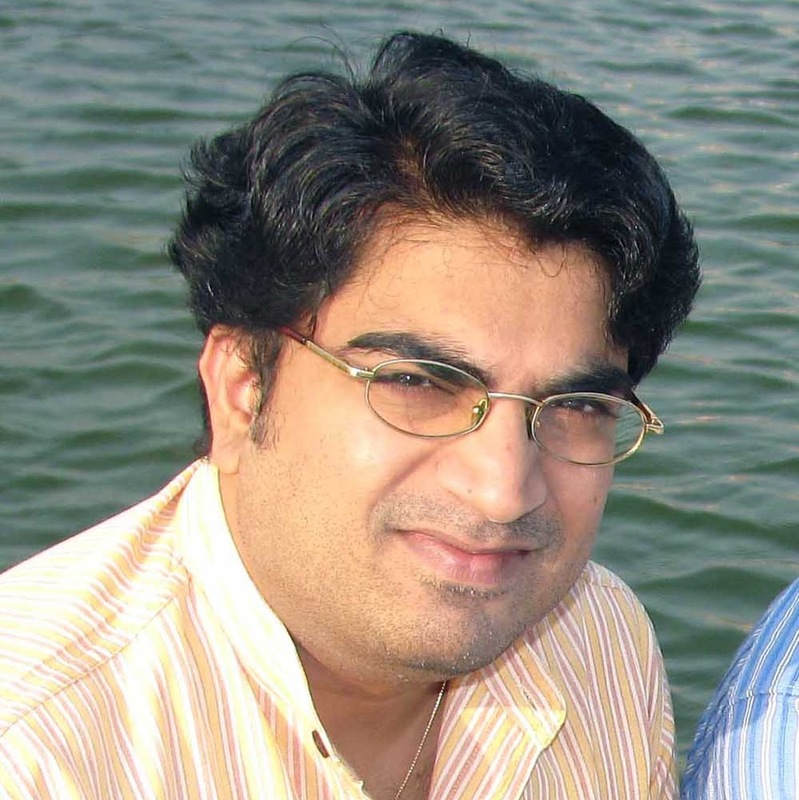 Vijay adapted the miniature technique, he mastered the nuances of miniatures and after two months of studentship in the desert state, he returned home. Using the techniques he learnt, he started copying the fragmented and damaged Surpura paintings. The fluid lines from the single haired brush began to take similar forgotten shapes on the paper, a new lease of life was given to Surpura paintings after almost a century. This successful experiment created a sensation amongst the gallerists and seasoned art collectors, Vijay’s paintings were sold far and wide. Today, they adorn many a beautiful mansions, museums and collections across the globe. 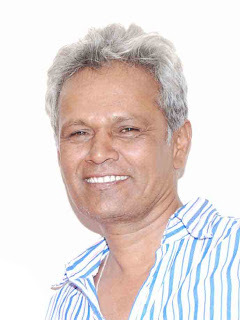 He has remained faithful to the language of his art; his favourite subjects for paintings are from Shiva purana, Dashavatara, Navagraha, Ashta Dikpalakas, Ashtanayikas, Kama Sutra, etc. His love for Hindustani music is reflected in his painting series of Ragamala. He is also adept at new compositions as evidenced in the illustrations he did for ghazals of Shantarasa; his miniatures can be described as visual poetry of flowing lines, solid colours and delicate gesso. Another important facet of Vijay is revealed through his love to collect antique bronze icons and puja paraphernalia of the region. His mother Ratnamma did not discard old brass utensils or exchange them for new stainless steel ones as everyone else did. She put them to regular use in kitchen neatly arranged. Her passion for old utensils triggered similar attraction in Vijay. Old brass, bronze and copperware are sold as scrap or exchanged for new utensils in bazars even today, these junked items are sold as scrap for melting, Vijay instinctively bought these utensils and puja paraphernalia. This behaviour often invited derision and anger from other members of his family, but he never relented; these humble objet de arts form the core of his collection which has grown today to include Surpura miniatures, glass paintings, the long forgotten Uddharani paintings, extremely rare Edramay paintings, Mysore and Tanjore paintings, Bhuta figurines in wood and metal, innumerable bronze mukha lingas, equestrian bronzes of the folk hero Mailaralinga, etc. Very often Vijay came across beautiful bronze idols being worshipped in friends' families. When he requested them to part with the same for his collection, many agreed on the condition that they should be given new ones in lieu. These folk bronzes were not readily available in market, they had to be made to order by a remaining few families of Kanchagars (literally, bronzesmiths) in the remote hamlet of Gajarkote in Gulbarga district which meant waiting indefinitely. Instead, he headed to Delhi and learnt the lost wax process of bronze casting from the accomplished artist Pushparaj Betala. Vijay became proficient in bronze casting and was able to create new idols and exchange the old ones for his collection. Several awards and recognitions have been bestowed on Vijay by various institutions like Karnataka Lalita Kala Academy, AIFACS, Mallikarjuna Mansur Foundation, etc. Vijay has participated in 'Art in Action', which is held annually at London, for four years in 1987, 1988, 1989 and 2000. He has held several one man shows of his paintings in New Delhi (1983, 1986 & 1993), Baroda (1986), Bangalore (1983, 1986, 1988, 1990), Mumbai (1991) and Gulbarga (Vikas Bhavan 1997) along with shows at New Delhi (Art Today 1995 & Gallery Espace 2001) and London (Nehru Centre 2000). His paintings are in the collections of Lalitakala Academies of Karnataka, Andhra Pradesh, Himachal Pradesh, Chennai, New Delhi, Neemrana Fort Palace, Modern Art gallery, New Delhi, South Central Zone Cultural Centre, Nagpur, Sanskriti Museum, New Delhi, Karnataka Chitrakala Parishath, Venkatappa Art Gallery, Government Museum, Bangalore, Folklore Museum, Ramsons Kala Pratishtana, Mysore and many private collections in and outside India.